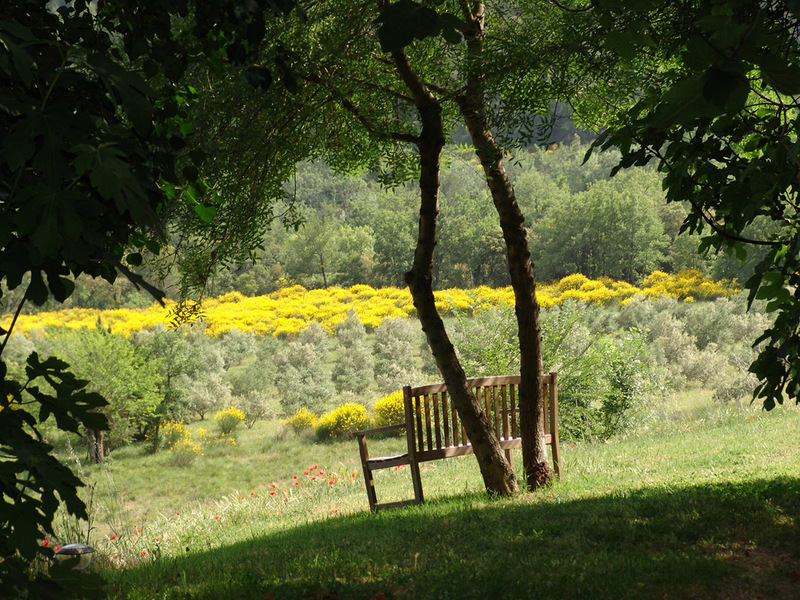 The COTTAGE (sleeps 4) nestles in the side of a south facing hill, with large doors and windows opening east and west onto a grassy garden with mulberry and fig trees (east) and two walled, sunny courtyards with flowering shrubs and herbs (west). 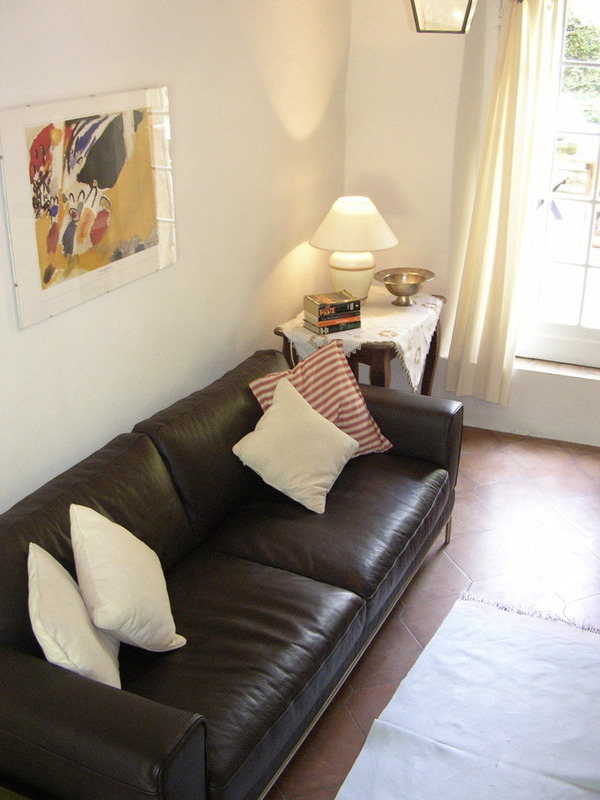 The Ground Floor has a sitting room prettily furnished in Provençale style with exposed beams, Provençale furniture and satellite tv, cd & tape player. The adjoining dining room with open plan kitchen leads onto a small courtyard with barbeque, tabel and chairs. • Two separate stairs lead to the two First Floor bedroom suites, one bedroom with double bed – 1m50 (5 feet) wide – and private shower room with shower, toilet and basin, the second bedroom with twin beds and own private shower room with shower, toilet and basin. The twin bedroom is accessed via steep stairs. Fans in each bedroom (rarely necessary because of the extra thick stone walls). • The Interior has been well-decorated, with good quality furniture and pretty Liberty or Provençale curtains throughout. 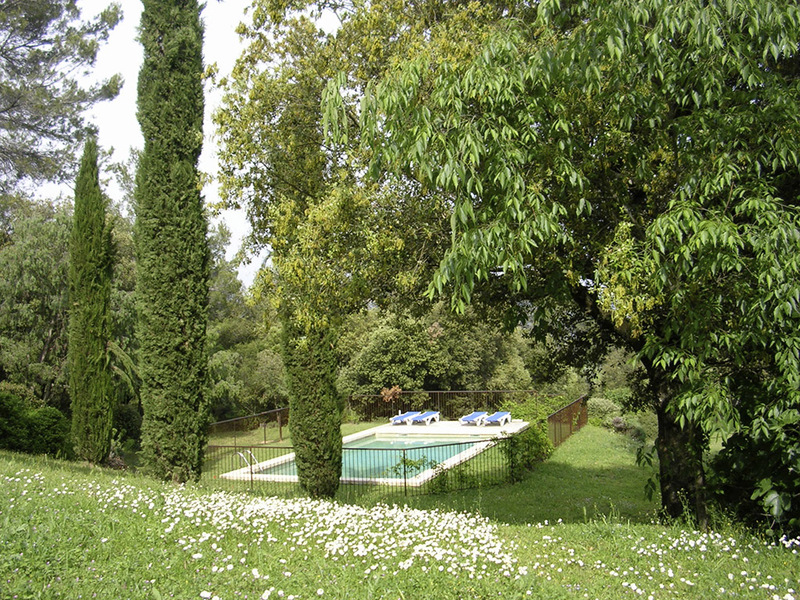 • The Pool (7m x 2.5m) is on a small hilly area just behind the cottage, reached by walking through pine trees, rosemary, wild mint, and thyme. 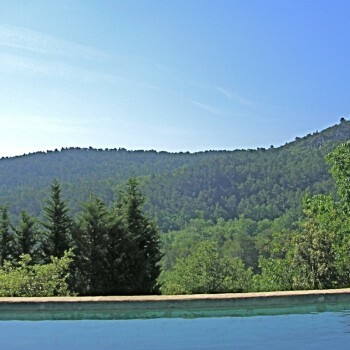 It has extensive views south (over our own valley) towards the river and the unspoiled hills beyond. 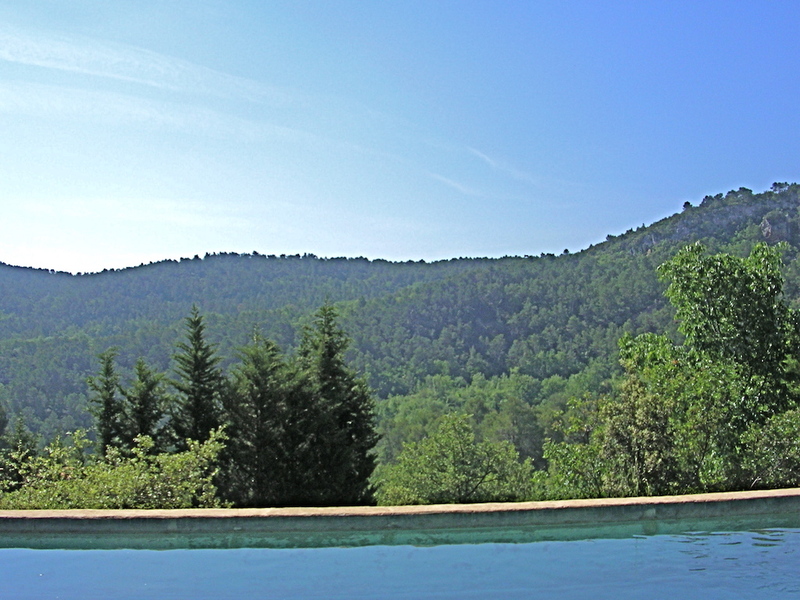 The pool is completely private and has sunbeds and dining furniture for four. There is solar heating from 1 April – 15 June and from 15 September – 1 November. Children can play close to the pool on swings. We can lend you (free of charge) a cot (please bring your own cot sheets, cot blankets and baby pillow – babies sleep better with familiar smells! ), a high chair, a push chair (please check on availability). Free access to wifi is provided. The COTTAGE was the original dwelling for the property, built in the seventeenth century ; the main part of the olive mill (including the present Tower House) with its impressive presses (still in place) and walls 5 feet thick, was then added on to the southern wall of the Cottage in the eighteenth century.